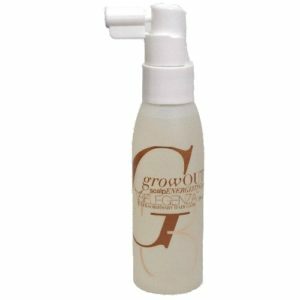 Like our other products, GrowOut Scalp Energizing Spray targets the hair follicles of the scalp, providing them with rich, natural nutrition to generate stronger and healthier strands…beginning with the roots. Over time, you’ll see each strand longer and stronger. Thicker growth, better coverage of hair, and perfect ends, result in better styles. You will enjoy your new healthier hair from root to tip…. AND soaring self confidence, knowing your hair is better than ever! By now, everyone knows the healing effects of Aloe, the enriching benefits of coconut, and the strengthening effects of citric acid. Now, the effects are supercharged in this exclusive blend that multiplies the properties of each ingredient in this powerful, powerful…powerful base. By using this powerful base alone, you will see remarkable changes. Encourage the speed and thickness of hair growth like never before. Belegenza now infuses another rare and unique premium extract, supercharging your chances of faster hair growth. This already powerful base, now more effective, means you can expect the best chances at your best hair growth since your teens! Our unique Olive Extract alone would be amazing. Now blended like a gourmet chef blends a recipe, these ingredients synergize each other like no other known brand….anywhere on the market, giving you results you have been looking for! By using the wisdom of our core proven & highly effective GrowOut Shampoo & Strengthener, this spray-based formula powerfully nourishes & energizes your scalp and hair, 24/7. Aren’t you ready to experience what thousands of satisfied GrowOUT users have discovered? Aren’t you ready for growth and amazing looking hair! To be sure no other chemicals are in the way, consider shampooing consistently with GrowOUT Shampoo & Strengthener and get maximum results now! …AND, because it’s made by stylists who understand how to make your hair look and feel great, your hair will always feel AWESOME! If you’ve ever felt embarrassed or ashamed of thinning hair, baldness (alopecia) or are tired of finding more hair in the drain than on your head – Belegenza GrowOut Scalp Energizer can not only help you keep your hair, but it can also help you grow new hair that’s stronger and more luxurious. When you use this together with GrowOut Shampoo & Strengthener, both formulas act in a synergistic nature, supplying your hair with vital natural nutrition and cleansing that’s simple and effective. No SLS, sulfates or even substitutes like name-brand growth products that are simply too harsh for follicles. Soothing food grade ingredients prime the follicles for maximum satiation and nourishment. Like steam baths and showers do for your skin, the soothing combination of GrowOUT Shampoo & Strenthener , your follicles are their most receptive for maximum penetration of this powerful array of nutrition and growth factors. This allows GrowOUT Scalp Energizing Spray to penetrate for its fullest effect. Simply target areas like the hairline, top crown, or all over for best and greatest effect. Though used always after GrowOUT Shampoo, this spray should be used before styling products and should be used at least once per day. On non-shampoo days, apply directly to the scalp, and use its moisture to restyle your hair using gentle heat from your blowdryer. Should you continue to use other brands of products, realize they are most likely adding conventional non-food-grade ingredients. Realize also, that GrowOUT Shampoo & Strengthener is a necessity each time so as to remove the conventional coatings. So you will always return to Belegenza’s GrowOUT, when you are serious about keeping your hair in top performance, and keeping your hair…period! To insure your best results for gentle detangling, boosted shine and softness, and an effective, long-lasting barrier against the harsh effects of sun, humidity, air pollution and more, we recommend GrowOUT Shampoo & Strengthener as the primer for getting the most of GrowOUT Scalp Energizing Spray! Long after the day winds down, you will be confident that GrowOut Scalp Energizing is still working hard, protecting and enveloping each strand with fully formulated, natural goodness. 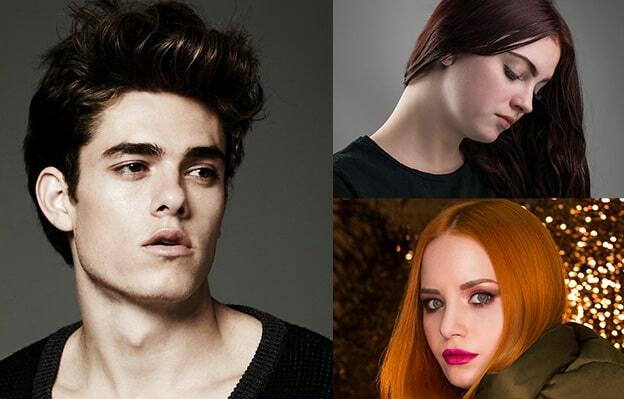 After all, your style doesn’t quit when the day is done, why should your hair? What about after a workout? With all of your blood pumping at maximum levels, it’s the perfect time to boost the nutrition at the follicles…be sure to apply post workout! Oh, yes, it’s safe with all types of adhesives for extensions, so you can nourish and strengthen your natural hair even while you are wearing extensions, wigs, braids, and for that matter, any style you wish! This spray is effective alone, yet if you want the best, here’s how you want to make sure to get the finest results possible– be sure your scalp is as receptive as possible! To do this, order this spray in a package with the GrowOUT Shampoo & Conditioner for added savings. With your package, you will be sure to get the best results you want now! Click here now for the package with savings! Want to see the 4 Step Package Kate uses? Click here! Information on this site is provided for informational purposes only and is not meant to substitute for the advice provided by your own physician or other medical professional. The results reported may not necessarily occur in all individuals. BELEGENZA LLC and KEITH ESCHENBURG INC is providing this site and its contents on an “as is” basis and makes no representations or warranties of any kind with respect to this site or its contents. Except as specifically stated on this site, neither BELEGENZA LLC and KEITH ESCHENBURG INC nor any of its directors, employees or other representatives will be liable for damages arising out of or in connection with the use of this site. This is a comprehensive limitation of liability that applies to all damages of any kind, including (without limitation) compensatory, direct, indirect or consequential damages, loss of data, income or profit, loss of or damage to property and claims of third parties. *These statements have not been evaluated by the Food and Drug Administration. This (these) product(s) is(are) not intended to diagnose, treat, cure, or prevent any disease, nor is any growth claimed. Individual results may vary. Aloe Barbadensis Leaf Extract, Butylene Glycol, Hypnea Musciformis (Hawaiian Seaweed) Extract, Oleanolic acid (Olive Oil Extrract), Biotinoyl Peptide-1, PolyComplex of Palmitate ( Coconut Based), Apigenin (Mineral based), Gelidiela Acerosa (Gulfweed Seaweed) Extract, Sargassum Filipendula (Redweed Seaweed) Extract, PEG-40, Hydrogenated Castor Oil, (Castor Bean Extract), SD 40, Menthol, Sorbitol (Berry Sugar extract), PPG-26 Buteth-26, Citric Acid, Phenoxyethanol (Corn Based), Caprylyl Glycocol (Vegetable Based), Hexalene Glycol (Vegetable Based), Ethylhexylglycerin (Vegetable Based), Phthalate-free fragrance. I love the formulations by Belegenza for thinning hair! Using them exclusively for the past year and see a difference in scalp health, new hair growth, and texture. I started using Belegenza on my daughter’s hair last year due to slow growth and fragileness and these products have transformed my daughter’s hair. I started using the products Alan recommended for fine hair and I also have noticed such a difference in my hair. People compliment our hair all the time and ask what we use. Belegenza is a wonderful line with exceptional customer service for an added bonus, and of course cruelty free. You can’t go wrong with these products!! I have to do a “Shout Out” testimonial for the “GrowOut” products!! I’ve been using the shampoo, conditioner, and GrowOut spray for a year now. Got my hair cut yesterday and my gal would not believe all the new growth especially around my temples. YAY!!! I have only used the shampoo, spray (GrowOut) & conditioner one time as I just received my shipment however that was enough for me to order more products! I bought an essentials kit for my daughter’s hair and the results were amazing. I will leave a review on the new products we ordered once the shipment arrives. (Cant wait 😀) I love that this company uses nothing but the best ingredients, is cruelty free and still delivers amazing results!! All three of these benefits is not easy to find. Highly recommend this wonderful line. I have only had the products (GrowOut Spray) for about a week. I use them every time I shampoo. I have had wonderful results. 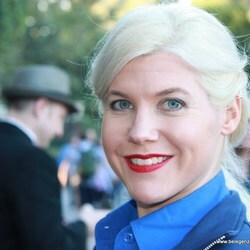 My hair feels healthy, has shiny and is super easy to style. I highly recommend these products! I have a lot of gray sparklers in my auburn hair and the Belegenza products(GrowOut Spray)have done wonders in just one week. My hair is soft, bouncy and shiny. I’m letting my hair grow out a little and I’m hoping it will help keep my hair thick and less frizzy. Time will tell. Thank you for wonderful products. 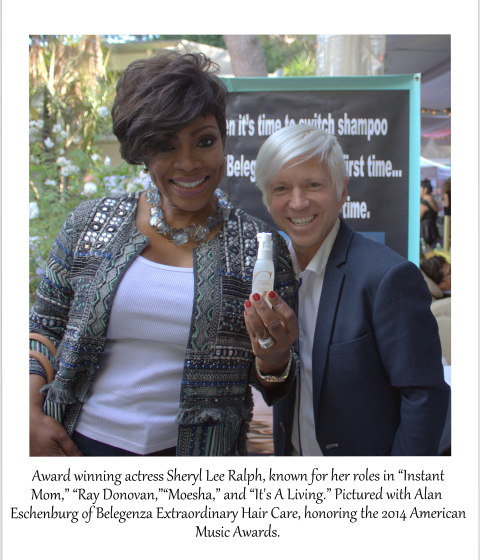 I will only use Belegenza’s GrowOut line of products on my hair! 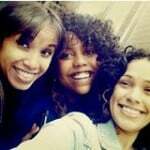 They are that amazing! I have suffered with significant hair loss and other health issues since 2016, and I have complete faith that this company’s products are safe and healthy, unlike most hair care products on the market that are filled with harsh chemicals that can potentially harm the hair and body. In addition, Alan is an admirable business owner who has personally assisted me with the product choices I have made. He truly cares about his customers! All companies should have such high ethical standards and customer service! As I’ve gotten older I noticed my hair became much thinner, especially on top. I switched to this combination. My hair is not extremely long, so I just use a dab of the shampoo(Illustrious). I let it sit for a minute, then wash it out and apply the conditioner(DraMatic). (If I’m in a rush, which is often, I don’t mess with the conditioner.) Incidentally, if you don’t use the conditioner then the hair stays tight – slightly entangled, and you also don’t need to apply the Taffy. I then spritz with the GrowOut spray (I use a little more after getting a hair cut, since my hair is shorter and the spray can more easily penetrate down to the scalp. Been using this treatment for the last 3 years. I can definitely say the hair loss has been retarded, if not reversed. Can now drive with the sun roof open without feeling that my scalp is burning. And can walk on the beach, with or without a cap, in the middle of the summer. While most people my age have very thin, or almost no hair, I have a decent mop of nice, mostly white hair. I hardly recommend this package(Mens Hair Power Package), or purchase the products individually. As a cancer survivor, who had no hair at all for over a year and a half while in treatment, you can imagine the hope that I had that would someday have hair again… I have hair and instead of coming in thicker than before, it is thin. I prefer natural products and so was attracted to your ad that I saw when checking my Facebook account. I have just now started using the products (GrowOUT Scalp Energizing Spray) and can already feel a difference in hair texture. Thanks for making a product that I feel safe using. I love how the Belegenza products make my hair feel! I have been experiencing hair loss since late fall. (not unlike a lot of women in our 50’s) as I understand. I’ve switched to using the “Grow out” products, and I am really hoping to slow down the advancement of this condition. So far, I believe that it’s working. Thank you for creating a product that I feel safe using. I’m a 36 yr old man, and started getting a little thinning patch in the back top of my head. I started using this growout spray each day, and the ilLutrious Shampoo, and it’s helping. I like that it leaves my scalp feeling fresh, and my hair is getting a little thicker. I also like the deep conditioner and use just a little bit as a finishing cream. Good products, and they last a long time. Thanks. Ty, that’s awesome! Keep on keeping on! As we always suggest, keep attending to your food intake as well. Now that you are adding perfect nutrition from the GrowOUT products to feed y our hair, make sure you are escalating the quality of your foods, too! Keep us posted, and thank you so very much for your great review! As of today I’ve been using the GrowOut Spray and Shampoo for 1 month, not that long I know but for what I’m about to say it should say enough. I have had thinning hair since I turned 23 (26 right now) which has only worsened as I got older; not only that but I started getting a receding hairline around 24. While not very thick, I have noticed new hair growth as of late; only short thin hairs, but the fact is, that hair is new! I feel that giving it more time will make those hairs thicker (not to mention the hairs I already have are growing faster than they ever have). It’s in my opinion that these products do in fact work! Which would be the first of everything I’ve tried. I cant thank my friend Miriya (who works with both Alan and Cheryl) enough for introducing me to these products! I don’t like to tell that I’m over 70, because it sounds like I’m old. I was having problems losing my hair, and it would tangle terribly and was getting thin, especially on the right side. I started using the Belegenza products, and I can hardly believe my hair. It’s thick again, my curls are great, and my scalp doesn’t itch anymore. My hair feels young again and I’m so thankful! This product is amazing! All of them are! Thanks for making such wonderful products. I wish you all the success in the world! This is the best spray to use when going through pregnancy or have hair loss. I didn’t loose any hair with this when I was pregnant and my hair is thicker now than ever!! I love this so much + all Belegenza shampoo and conditioner products. I love that I can use this every day. I don’t wash my hair but every third day or so, and I can use this on the front hairline in my thinning spots to keep my bangs fuller. I just spray it on, and then blow dry it to make my hair look fresh again! Love it and can’t live without it. I’m not losing my hair anymore, my scalp feels good again and I’m not freaking out when I look at my brush anymore! Thanks, Growout! Thank you so much! Isn’t that AWESOME!! I love this stuff! I have new hair growth! My hair is so thin you can see my scalp. I have been using it for about 6 mo. The new growth is obvious now! I started using GrowOut Spray for ichy scalp and it works wonders. I spray it on my scalp before I dry my hair. After I started using the spray, I received an added bonus. I have very thick curly hair. When I would wash my hair, I started losing a handful of hair. Once I started using the spray, the amount of hair coming out with each shampoo decreased significantly. I am 89 yrs. old and started using the product 2 years ago. I had been told by my beautician that I was going to need a wig. My daughter told me to start using this, and since then my hair is fuller, and shiny gray, and healthier. I still wear my natural hair, and no wig! I simply took it to my stylist and shes uses it on me, and even she comments on how well it works! I especially happy because some of my hair grew back. I used to have psoriasis, and started using the GrowOut Scalp Energizing Spray. The psoriasis went away, so I stopped using it. But, the psoriasis came back. At that point, I started using it again, and now I haven’t any psoriasis for almost 2 years! I love this stuff! I have been using your products since 2012. I did a lot of research on good products for my post chemo hair growth. I will never know if Belegenza actually made my hair grow faster but I do know that as long as I used it, I hardly shed, the growing phase seemed to last longer and my hair was strong and healthy. When enough time had passed that I could color my hair, my hairdresser could not get the color to lift using 30% volume. So much for weak hair! Last fall I found myself again needing chemo therapy! I again lost my hair. I was always careful to wash my scalp with grow out to keep the hair follicles clear. After 6 rounds I was switched to another drug and told I would not lose my hair but it might thin. What I found was it stopped growing and shed a bit more than normal. Now I am finished with chemo and taking Hormone therapy. This has no ill effects on the hair. It has started growing like crazy! I alternate between grow out and illustrious. I use the nutritious spray treatment daily all over my scalp. It will still be a few months before I can go without a wig. Post chemo hair is peculiar. It could be a different color, different texture in places and cowlicks in odd places. Most return to normal In about 6 months to a year. Thank you for making a wonderful product for all but especially for those of us who have lost our hair. We need to know we are doing something good for ourselves. 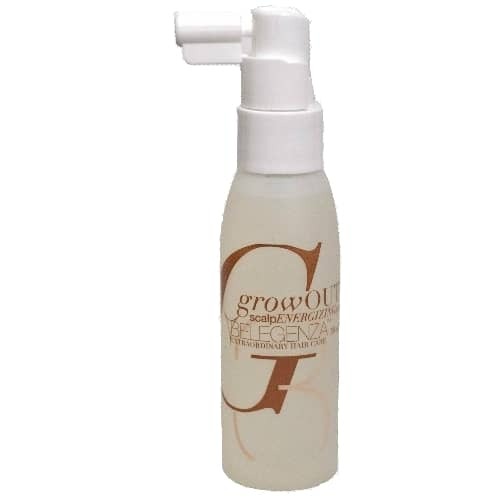 GrowOut scalp spray gives my hair that little extra kick out of the shower. It detangles my hair, and adds instant shine.